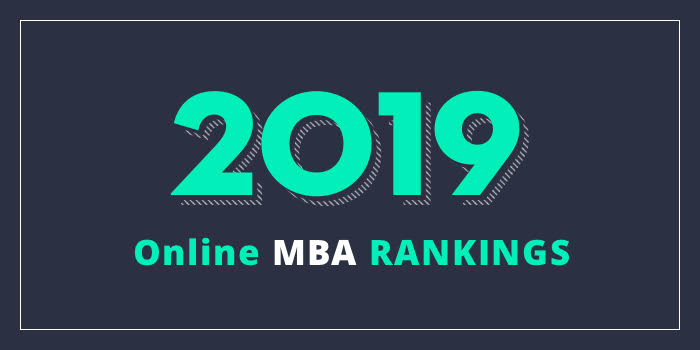 Our 2019 rankings of the Top 5 Online MBA Programs in Ohio. For an explanation of ranking criteria, click here. The Carl H. Lindner College of Business at the University of Cincinnati has been accredited by the AACSB since 1919. The school offers an online MBA program that combines academic study with hands-on learning. The 38 to 48 credit hour program provides core skills in Economics, Marketing, Information Technology, Accounting, and Leadership. Besides the opportunity to earn their degree at an accelerated pace in as few as 12 months, Lindner online MBA students have seven concentrations to choose from. Options include Health Care Finance, Health Care Administration, Health Care Operations, Health Care Policy and Regulation, Marketing, Corporate Taxation, and Individual Taxation. A Business Foundations Certificate is also available and students who choose a focus will receive a certificate in their area of concentration. The College of Business at Ohio University offers an AACSB-accredited MBA program that may be completed entirely online. There is no GMAT requirement for admission and students may choose from eight concentrations including Accounting, Business Analytics, Business Venturing and Entrepreneurship, Executive Management, Finance, Health Care, Operations and Supply Chain Management, and Strategic Selling & Sales Leadership. Course highlights include Accounting for Executives, Applied Business Experience (CAPSIM) Data Analysis for Decision Making, Organizational Behavior and Human Resource Management, and Strategic Use of Information. In the CAPSIM course, “students will work in teams and apply course material to complete simulated business experience,” says the school. In the simulation, each team runs a fictitious firm. The MBA program at Ohio University may be completed in just two years, full-time. Cleveland State University (CSU) is home to Monte Ahuja College of Business, which offers a one-year MBA that may be completed entirely online. One of the first online, one-year MBA programs to be AACSB-accredited, the Accelerated Online MBA (AMBA) at Cleveland State emphasizes strategic management skills and small study groups. The school admits cohorts twice a year and it utilizes an eLearning and mLearning (mobile learning) system. System highlights include digital textbook annotation: highlight text, add notes, share blurbs, etc., and class discussions and conversations where students can collaborate and learn with peers through the Blackboard platform using any personal device. The 34 credit hour CSU AMBA program focuses only on graduate level business courses, so students must have all background business courses completed before applying to the program. Course highlights for the program include Business Analytics Fundamentals, Financial Policies, Integrative Business Strategy, International Business, Management of Innovation & Technology, Strategic Entrepreneurship, and Team Dynamics. With the exception of Team Dynamics (one credit hour) and Integrative Business Strategy (four credit hours), courses are three credits. All courses are taught by full-time CSU faculty members and current instructors in the MBA program. The College of Business Administration at Kent State University offers an online MBA that blends classroom instruction, experiential learning and optional education abroad experiences. Project-based courses for this 36 credit hour program are delivered in 8-week modules and two concentrations are available: International Business and Supply Chain Management. Of the 36 credit hours, 24 hours are core courses, nine are electives, and the Capstone is three credits. The optional study abroad course can fulfill three out of the nine elective credits. Course highlights for this AACSB-accredited program include Analytics for Decision Making, Business Strategy (Capstone), Global Technology Strategy, Global Conditions and Macroeconomics Policy, Law and Ethics, Leadership and Managerial Assessment, and Operations, Service and Supply Chain Management. Other program benefits include access to a career coach, Career Services, and academic advisors, and the option to enroll year-round in the fall, spring and summer semesters. Prior work experience or a business-related degree are not required and students can complete the Kent State Online MBA in as few as 12 months. The Richard E. & Sandra J. Dauch College of Business & Economics at Ashland University offers a fully online MBA program that includes the unique opportunity to earn Project Management Professional (PMP) Certification. Exam fees are included in tuition and Ashland offers students a 1st year membership with the Project Management Institute (PMI). A Verizon MiFi hotspot, along with 4G/LTE wireless internet service for one year, is also included with tuition. Students may complete all coursework for this 30 credit hour program online via Blackboard Learn (Ashland’s primary learning management system - LMS) or they may choose blended hybrid courses, which will allow them to complete the program through a combination of online and face-to-face courses. Courses are delivered over six sessions, allowing students to complete the program in just under 12 months. Part-time students typically complete the program within 16-24 months and students who prefer a more flexible pace can complete the program in an average timeframe of less than three years. Students may choose one of two specializations including Project Management or Sport Management. Course highlights include Advanced Topics in Communications, Foundations of Project Management, Increasing Organization Capacity, Organizational Design, Development & Change Management, and Strategic Planning & Policy Analysis. The Ashland University Online MBA Program is fully accredited by the Accreditation Council for Business Schools and Programs (ACBSP). Dauch College of Business & Economics is a Member of AACSB International.